This colorful documentary was shot at the locations that defined Luther’s life. It also features striking illustrations. Great theologians ranging from Steve Lawson to R.C. Sproul drive the content of documentary exploring all parts of Luther’s legacy including his view of salvation, the church, and Jews. If you want to know why the Martin Luther and the Reformation is important, I encourage you to watch this 1.5 hrs. film. 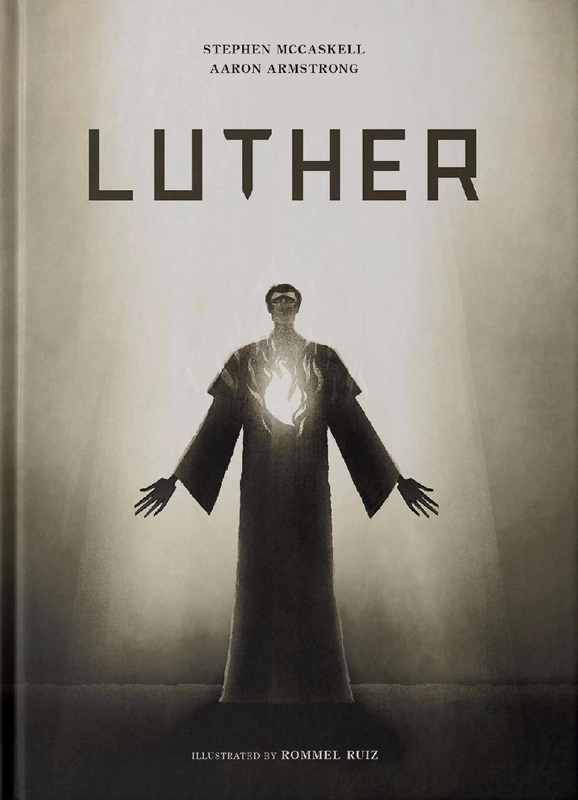 This striking picture does a great job of introducing older children to Luther through engaging black and white illustrations, through quotes from Luther and other reformers, and through and easy to read text. Children and homeschool families seeking to study and learn more about Luther will love this book that praises Luther for rediscovering of the doctrines of Grace and that wrestles with his noticeable character flaws. Calvin recognized in the Luther what we all would be wise to remember: Even the greatest servant of God will continue to struggle with sin until the ends of his days. (81). Though written for adults, this biography of Luther could easily be read by junior high and high school students. The short chapters often feature quotes, pictures and an easy to read text. This book one of the best Luther biographies around chroniclaling the events and culture that lead Luther to turn the world upside down. Click here to by your copy! The Nine Marks Ministry has devoted their latest journal to covering the theological and practical issues surrounding the Reformation! There are essays on what church services where like before the Reformation, on whether or not the Reformation is purely a white evangelical movement and on a host of other topics related to the Reformation! This amazing journal is free! Click here to get your copy! Tags : Book Reviews, Books on Luther, Books on the Reformation, Martin Luther, Nine Marks, Reformation Resources, What was the reformation about?, Who was Martin Luther? ← Are You Ready To Listen More and do Less in Church?